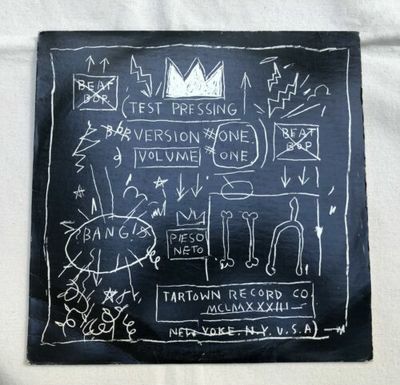 Beat Bop Rammellzee vs.K-rob Basquiat lp Jean Michel hip hop original. Holy grail hip hop vinyl. This is an original pressing not a re do. Look carefully at the serial #s on the edge of the disc. Condition is Used. See all of my pictures for an accurate representation of the disc and sleeve . Pardon any reflections or glare on the vinyl. Shipped by priority mail, with insurance, within the United States. Please wait for my final invoice before paying. I package items very carefully to ship. Your satisfaction guaranteed. Please Do not ask me to falsify customs forms.